Nations should avoid planting biofuel crops that have a high risk of becoming invasive species, a report warns. A study by the Global Invasive Species Programme (GISP) said only a few countries have systems in place to assess the risk or contain an outbreak. 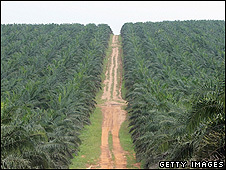 It has listed all the crops used to produce biofuels, and urged governments to only select low-risk varieties. The global cost of tackling invasive species costs $1.4 trillion (£700bn) each year, the report estimates. "Many countries are currently looking at growing high-yielding crops for the production of biofuels to address imminent energy shortages and reduce the impact of climate change," the report's authors wrote. "This usually involves the importation of foreign (alien) species of plants that are known for their fast and productive growth. "If these initiatives are not carefully assessed, however, the cultivation of some popular species will increase two of the major causes of biodiversity loss: clearing and conversion of yet more natural areas for monocultures, and invasion by non-native species." GISP, a partnership of four conservation organisations, including IUCN and the Nature Conservancy, fear the biofuels boom could expose gaps in nations' bio-security measures. "Prevention is better than cure," said Geoffrey Howard, IUCN's global invasive species co-ordinator. "We need to stop invasions before they occur. The biofuels industry is a relatively new concept so we have a unique opportunity to act early and get ahead of the game." Green energy or grim reaper? Stas Burgiel, a senior policy adviser for the Nature Conservancy and one of the study's co-authors, said the aim of the report was to offer practical guidance to those who needed it. "A lot of the countries that we work with are developing nations that don't really have systems to evaluate deliberate introductions or the import of particular species for large-scale plantings," he told BBC News. "The next step is to look at projects that are definitely going ahead and carry out more scientific studies in those regions." 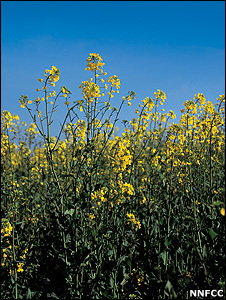 He added that the crops which appear on the list would not be classified as invasive everywhere. "For example, a crop like Arundo donax (giant reed), which would cause concern in North America, would not cause the same concern in its native habitat in places like Eurasia. Giant reed, which is naturally flammable, increases the risk of wildfires in places such as California, threatening human settlements as well as native species. It is also viewed as a problem species in water-scarce South Africa because it consumes 2,000 litres for every metre of growth. "That sort of awareness is useful because it can help the consideration that a country uses in terms of crop selection," observed Dr Burgiel. The ecology of potential sites for biofuels crops also affects the risk of invasion. He explained that degraded land or areas that have been used for other purposes often increased the risk of an outbreak. "Frequently, that provides the most suitable habitat for invasive species because there is little competition from native vegetation," he said. The publication of the study coincides with a key meeting of the UN Convention on Biological Diversity (CBD), which is being held in Bonn, Germany. GISP says the international gathering represents the "best opportunity in a decade to take global action against invasive species". It is also calling on delegates to back the call for risk assessments to be carried out before biofuel crops can be planted.